We provide all the necessary infrastructure, support and innovative turnkey products for Solar power Engineering, Procurement and Construction (EPC) services, and our experts specialize in delivering tailor made products for all solar projects. We have a high reputation in the market for efficient and cost-effective solar products. Chemtrols Solar has the distinction of building the first MW scale industrial solar PV rooftop in India. This project that won the InterSolar 2013 Best Solar PV project award, is a PV-Diesel Hybrid, also the first of its kind. Owing to our in-depth knowledge of this domain, we are specialized in providing Solar Power Plant EPC Service. This service is provided as per the customers’ demands. DOEIL qualified earlier on as an EPC (Engineering, Procurement and Construction) contractor with ONGC, but has been till recently working as a subcontractor to companies like L&T. However, with the award of the NQD & ICP contracts in September 2008, DOEIL has commenced work as an independent main EPC contractor to ONGC. From consulting and construction to maintenance, Altasorz provides full portfolio of services to deliver or support any element of your Land based or Rooftop solar power project. Topsun is one of the leading turnkey EPC players in the Indian PV solar industry. 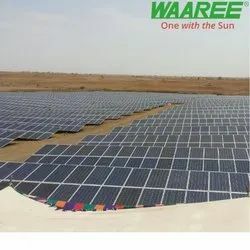 Medium to Large-scale grid connected solar power plants installed by us have generated high efficiency levels that have become industry benchmarks and continue to be the best performing solar power plants in the country.